Biologists have known for some time that different tissues have different shapes because of the same basic type of cells. Known as epithelial cells or epithelia, these basic ‘building blocks’ of tissues can come in slightly different shapes in order to assemble into diverse structures. Alternatively, the epithelia do this so as to ensure that one tissue overlays or conforms well to the shape of another. This is important when, for example, growing the interior lining of an artery or vein. The epithelia take these different specific shapes rather than a more fluid, deformable single form, to confer strength as well as a structure on the tissues they make up. On the other hand, these shapes are complex, so that tissues can grow into the proper conformation as they develop, grow and rejuvenate. For example, it is vital that certain layers of tissue in an embryo fold inward (or invaginate) or form tubes for the potential lifeform to assume the body-plan dictated by its genes. These actions ultimately result in structures such as spinal columns, skin, and bones. 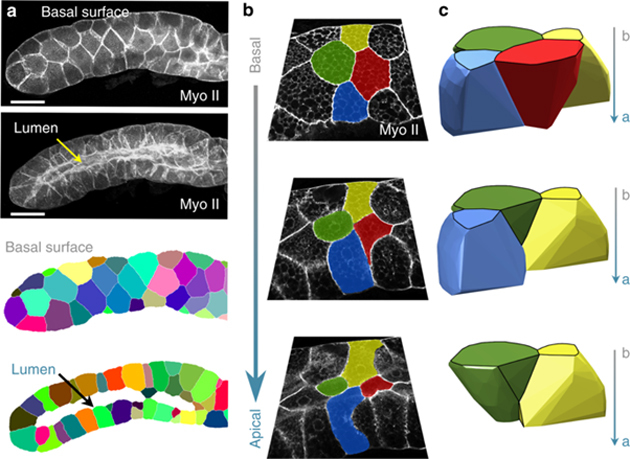 Scientists have determined that inward folding is achieved by the generation and movement of a population of epithelial cells that have taken the ‘frustrum’ shape. This shape resembles a tall, thin pyramid with the top cut off. Their growth and movement relative to each other allow for the formation of a robust, defined fold over time. geometry is achieved when some epithelia standing on their ‘ends’ in the middle of a flat layer of cells transition from a more prism-like shape (with two ends of roughly equal diameter) into the frustrum shape. Therefore, the layer, which may be termed a column or cube depending on its original shape, starts to bend inward at this point. Some biologists use the ‘prism’ and ‘frustrum’ terminology due to the geometric properties of the epithelia. However, in reality, the cells look more like tubes or bottles, respectively. Nevertheless, this basic geometry may be what gives living tissues their resilience and rigidity. However, the presence of these frustra and prisms do not adequately explain other tissue conformations in which epithelia are found. These include shorter tubes (in which the cells lie on their sides to form such a structure), permanently curved layers or spheres. 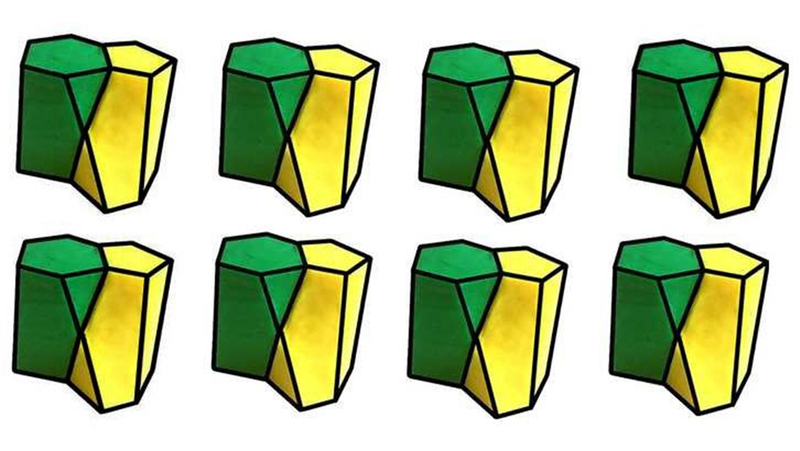 Mathematical models that try to explain the formation of these shapes using prisms or frustra get rather overcomplicated, inconclusive or even fail completely. In addition, some of these systems show that forming alternative shapes using just those two types of epithelial shape are inefficient in terms of various energies required to build these tissues. In other words, the epithelia we know of are only good at building three main types of structures: folds, columns, or squamous (scale-like) shapes. Therefore, for these tissue forms, there must be some other mechanism that has not yet been discovered. On the other hand, there is another type of basic epithelial shape that exists for the purpose of 3D curve-building in vivo. A team of scientists from institutions in Seville, London and Philadelphia think that they may have found the answer. Their mathematical models have resulted in the characterization of a completely new geometry for epithelial cells. Cells in this shape have two ends, both of which they can stand on, much like in the prism-form. However, one of these ends is in a hexagonal shape, whereas the other is more like a pentagon. Therefore, the vertical edges are slightly tapered as they join one end to another. In addition, as two of these edges arise from one face of the hexagonal end, they also meet in a triangle prior to forming an edge with the intersection of two pentagonal-end faces. This gives the shape six surfaces of varying length and width and also exaggerates the taper on one entire side of the shape. This shape, as a whole, suggests the potential for a significant curved structure, provided that many cells of this type were arranged in an optimal conformation. Further mathematical modeling suggested that this formation was indeed possible, so long as the cells met in a way that kept a surface with an apex of one cell pointing away from the surface lacking apices (or basal surfaces) of the ones immediately in contact with it. The researchers termed this new type of epithelial conformation the apicobasal cell intercalation. When the team imaged a section of fruit fly (Drosophila, a common model animal for these types of studies) salivary gland, they confirmed the presence of cells with the new geometric shape as predicted. It was found that these shapes could also form flatter surfaces if the apical and basal surfaces of alternating cells related to each other in different ways. This new epithelial shape was given the name ‘scutoid’ by the scientists, who also published their breakthrough in the journal Nature Communications. Scutoids are also found in nature at less microscopic scales. For example, the wing cases of the beetle, Protaetia speciose, have a scutoid conformation. They allow the insect to keep these structures tight to its body while retaining their slight but specific curves. It now appears that scutoids are for cells too and allow epithelia to hold the arching shapes often required by many tissue types. P. Gómez-Gálvez, et al. (2018) Scutoids are a geometrical solution to three-dimensional packing of epithelia. Nature Communications. 9:(1). pp.2960. E. J. Pearl, et al. (2017) Cellular systems for epithelial invagination. Philosophical Transactions of the Royal Society B: Biological Sciences. 372:(1720). L. A. Davidson. (2012) Epithelial machines that shape the embryo. Trends Cell Biol. 22:(2). pp.82-87.